Designed to bolt to factory brackets. The Del Rey high back seat is a factory style flat cushion original equipment truck seats. 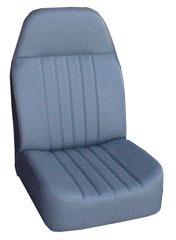 This seat is very similar to the original seats that are commonly known as ford dodge chevy gmc truck seats. Some OEM bracketing may require a height and bolt pattern adjustment. ALL Truck High Back Seats Feature Multi Position Reclining and Fold Forward Backs. All fabric, all vinyl at the same price. FMVSS #302 Safety Standards per section S4.2 and S4.3. 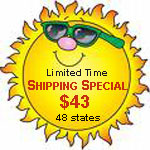 Dodge Truck Seats, replacement aftermarket Truck Seats, leather Truck Seats, chevy , ford , dodge truck seats.